An interest rate swaption is an option on a swap and it can be used to remove an embedded call option on a bond or to create one synthetically. This post summarizes the logic of how this is done, which is the subject of the strategies and applocations of using interest rate swaptions section at the end of the Risk management application of swaps reading found in the CFA Level 3 curriculum. An interest rate swaption is an option on a swap, where one party has paid a premium for the right but not the obligation to enter into an agreed upon swap in the future. Swaptions are primarily used by someone who anticipates taking out a loan at a future date and then entering into a swap to convert the loan from fixed to floating or vice versa. The cost of creating this optionality is the upfront premium. Why enter into a swaption? Essentially a swaption is entered into for the same reasons as an interest rate swap, with an underlying interest rate swap with all the elements of a regular swap, but adds in an element of optionality based on the agreed upon strike rate and exchange of premium. The buyer of the swaption pays a premium at the start of the contract and receives the right to enter into a swap. The seller receives the premium at the start and grants the right to enter into the swap at the specified fixed rate to the buyer of the swaption. A swaption can be European or American. There are two types of interest rate swaptions, both named with respect to the fixed rate. So a payer swaption can be used to convert a future floating-rate loan into a fixed-rate loan while a receiver swaption would convert a future fixed-rate loan into a floating rate loan. An interest rate receiver swaption (that is receive fixed, pay floating) is like a call option on a bond and can thus be used by an issuer to alter the structure of a callable bond that they have issued. For an issuer that does not believe it will call the bond (i.e. interest rates won’t decrease sufficiently) a swaption can be used to effectively sell the embedded call. This strategy involves synthetically removing the call from callable debt by selling a receiver swaption (meaning they would be liable to receive floating, pay fixed). The premium earned for doing this helps offset the higher coupon the issuer was required to embed the call feature eon the bond. Now what happens if interest rates fall enough for the bond to be called? Effectively the two positions balance. This is because just like the call option, the receiver swaption becomes more valuable as rates decline and the swaption will be exercised. At this point the company will have to enter the underlying swap to receive a lower floating rate and pay a fixed-rate. They can then offset this impact by entering an opposite swap at the current market rate. The overall effect is that the borrower will pay the same rate it would have paid if it did not call the bond (but will have pocketed the premium). The reverse is also possible. That is, an issuer can also synthetically add a call option by purchasing an interest rate receiver swaption. The premium they pay for the swaption effectively increases the coupon rate / cost of the bond. 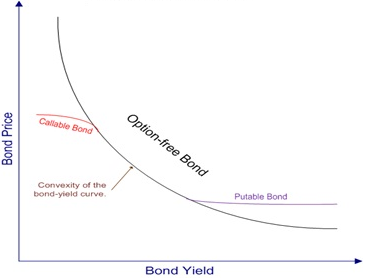 In this scenario, if interest rates fall enough the company exercises the receiver swaption (receiving fixed, paying floating), can enter into an offsetting swap at the market rate, and effectively end up locking in a lower fixed rate as though the bond had been called away and they were able to issue new bonds at a new, lower market rate. In summary, swaps are a flexible, often attractive risk management tool for managers, and swaptions add a degree of optionality around their utilization. For the CFA Level 3 exam, you may be tested on any potential application or conceptual understanding of these risk management tools including futures and forwards, options, and swaps.